I am hustling towards the finish line of the year this week. The last Brand Market workshop is Saturday, and besides a few projects around the home, I am leaving the coming weeks open for uninterrupted time with my family, and the chance to live a service oriented advent. I can hardly wait! 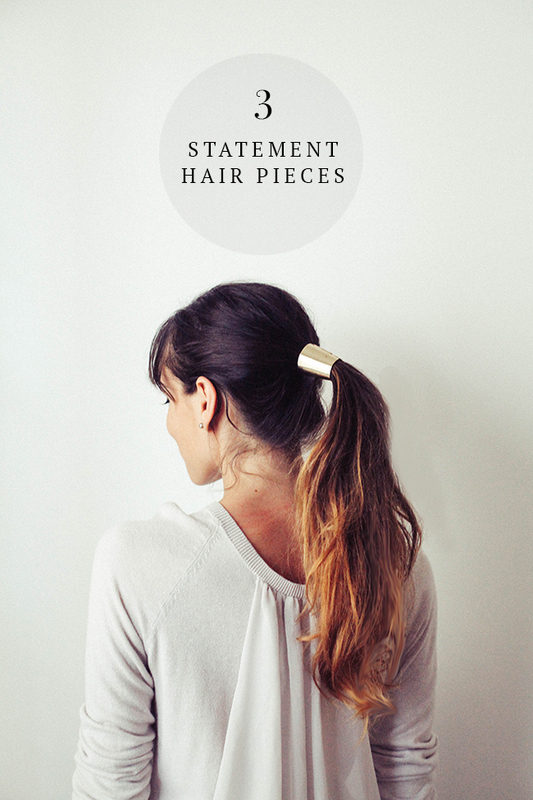 Head over to e-How for the deets on how to shape up your locks with three easy pieces! 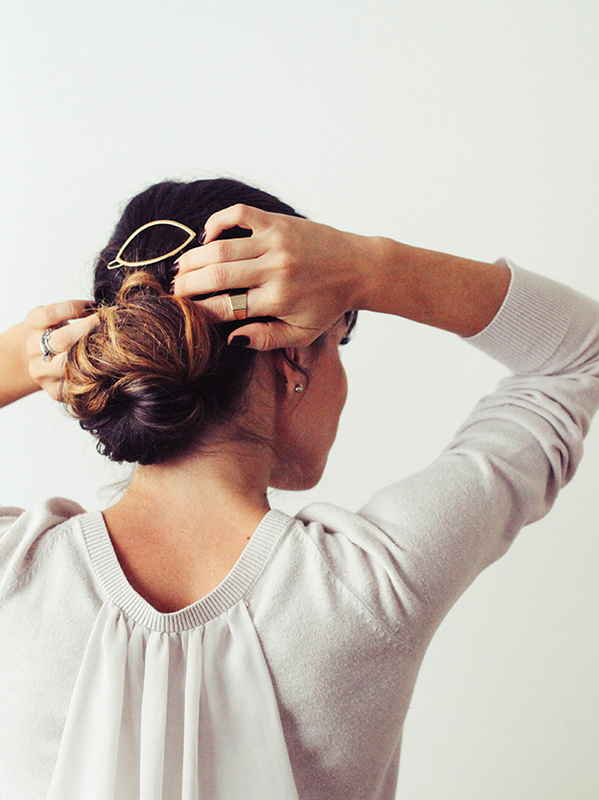 These gold accents are such beautifully simple additions to any hairstyle. Just in time for the holidays, the touch of metallic makes any top knot or sleek pony party-ready! I loved all of the ideas that you shared on e-How! I have to say that my favorite, though, is the first. 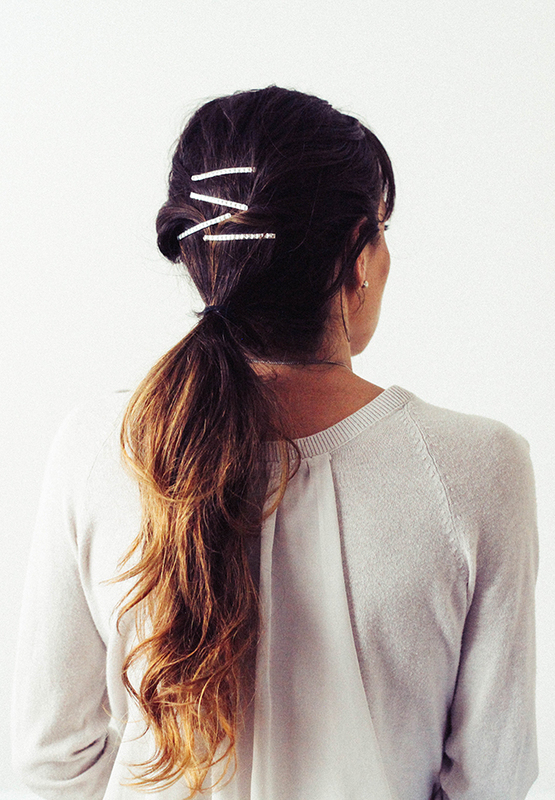 I can see myself wearing a pony tail with stacked barrettes a lot this holiday season. Wow, those are so pretty! I’ve been wearing my hair in a ponytail lately because who has time to do their hair nowadays, and these pieces would look so great! Anna, the first and last pieces are to die for! Gorgeous! And they would go well with, literally, anything we wear.